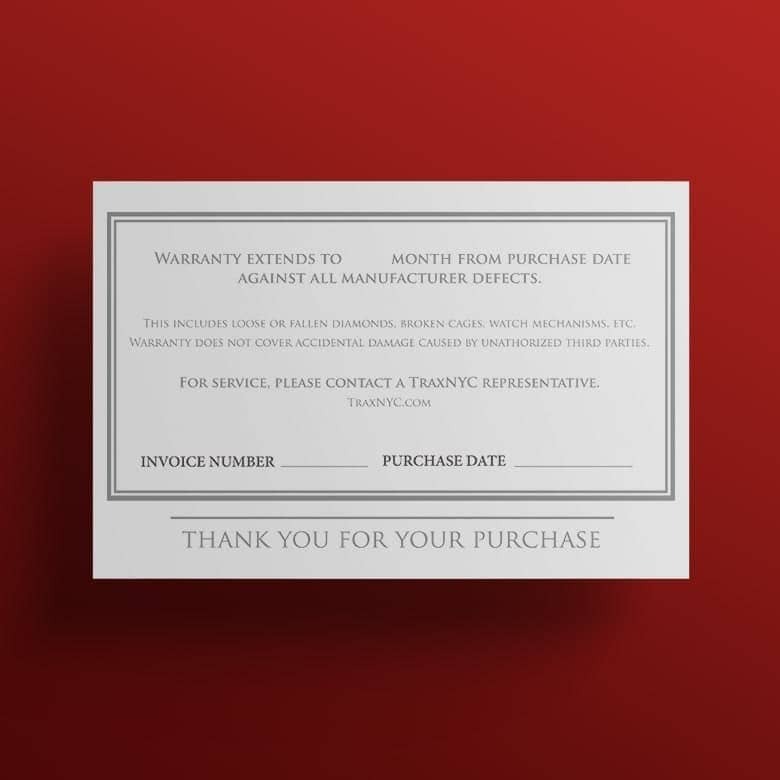 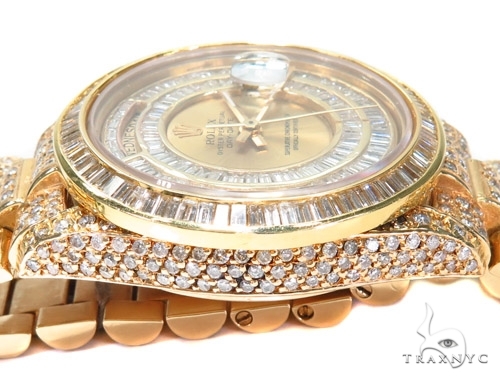 Belonging to TraxNYC's luxurious repertoire of Watch, this masterpiece is crafted with the utmost care and skilled craftsmanship to bring you the very best. 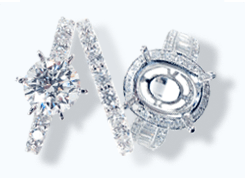 Treat yourself to luxurious diamonds, found only here at TraxNYC. 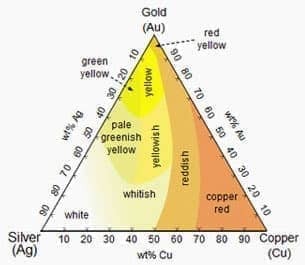 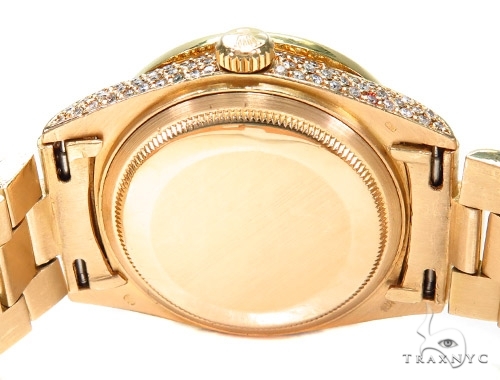 It comes with a total diamond weight of 8.00 ct set in style against the 18k Yellow Gold. 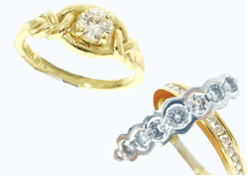 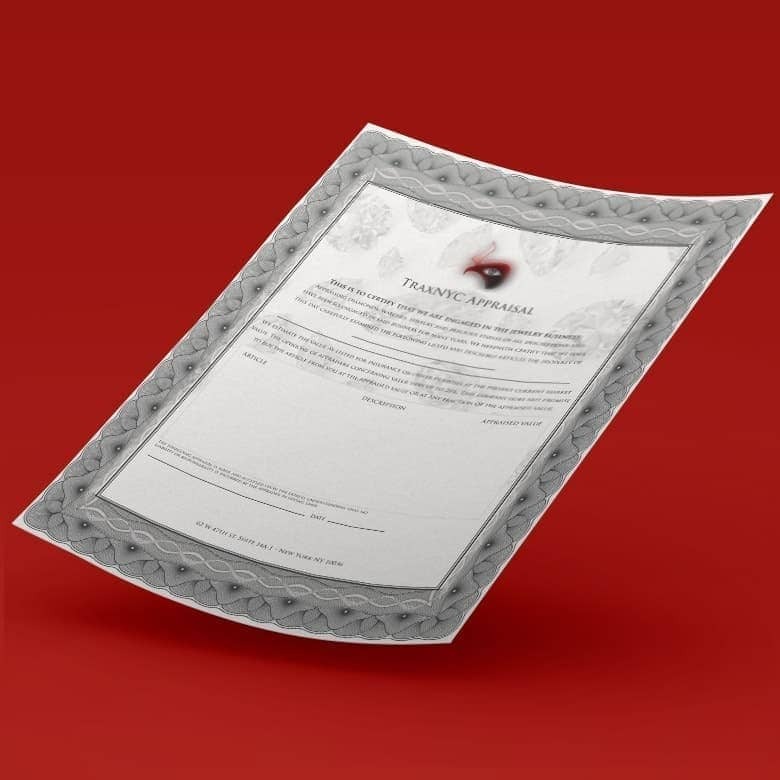 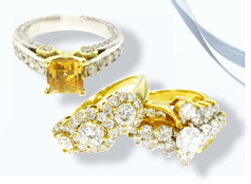 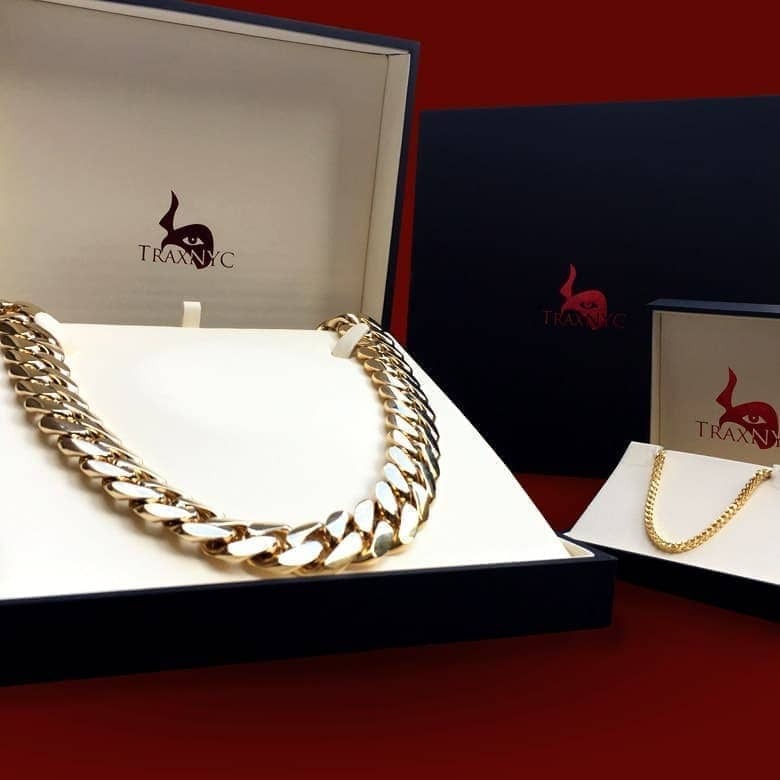 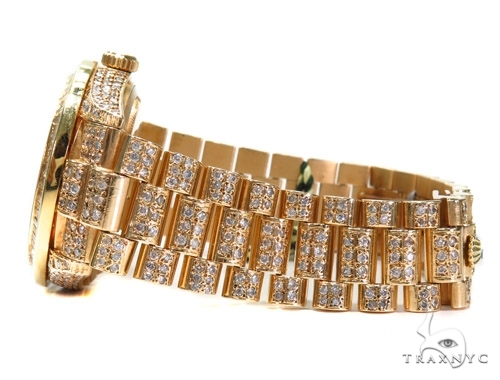 You won't get a better price on Diamond Jewelry than we offer here at TraxNYC. 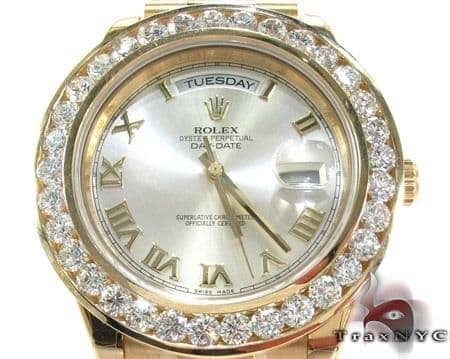 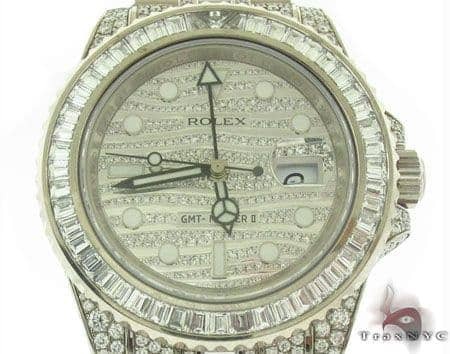 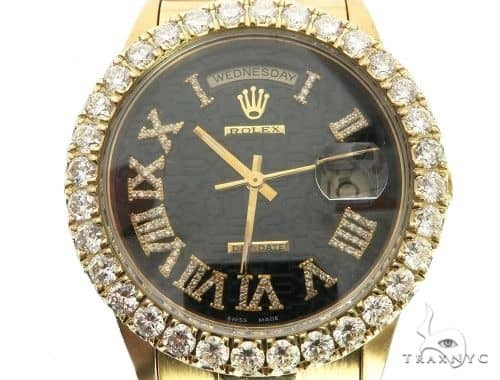 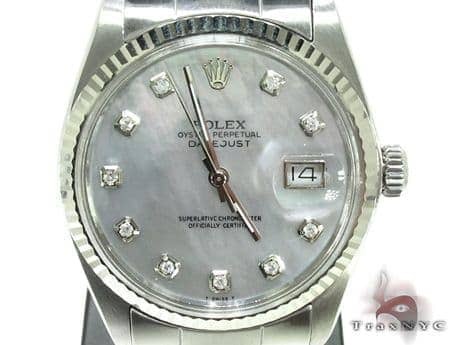 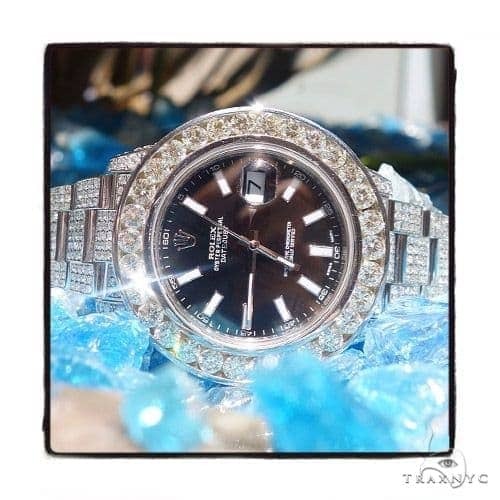 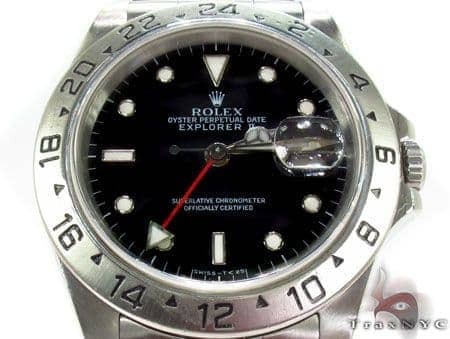 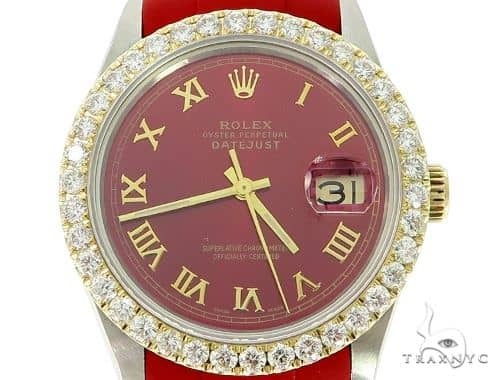 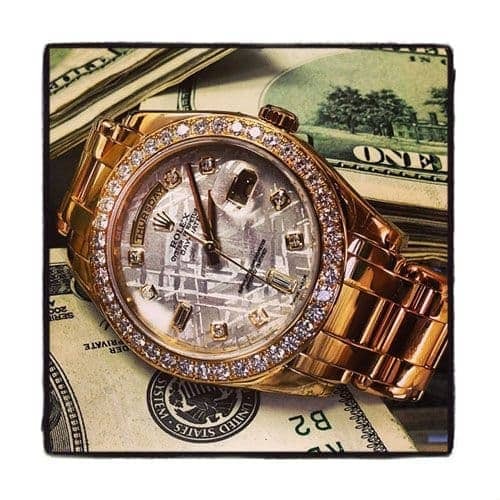 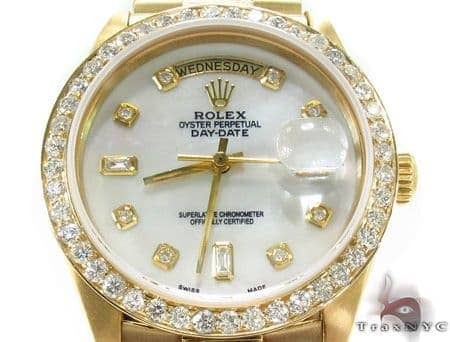 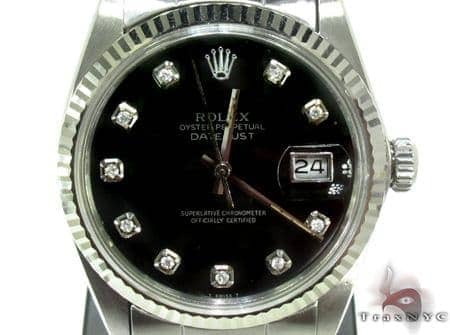 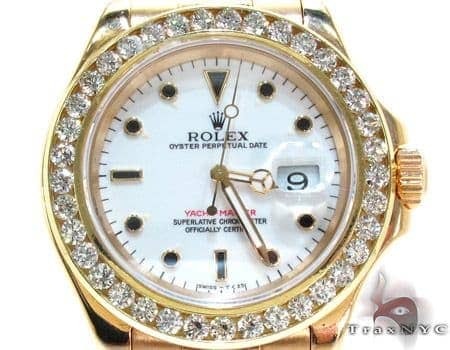 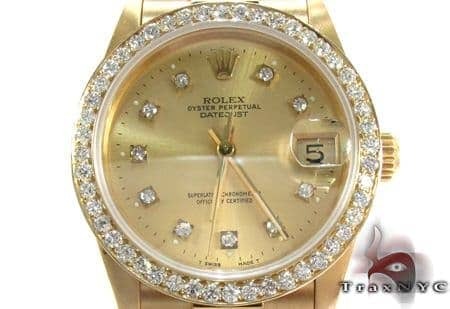 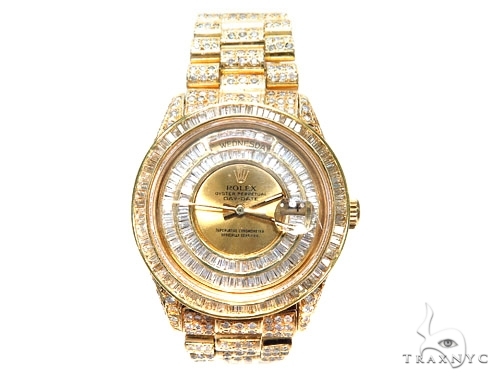 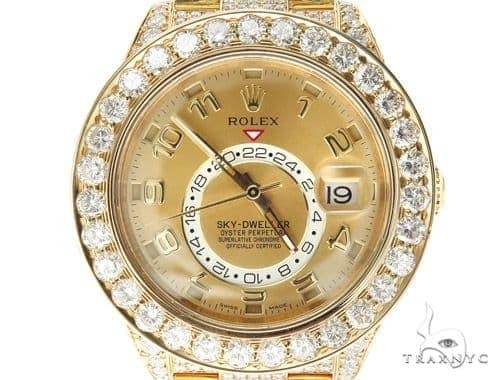 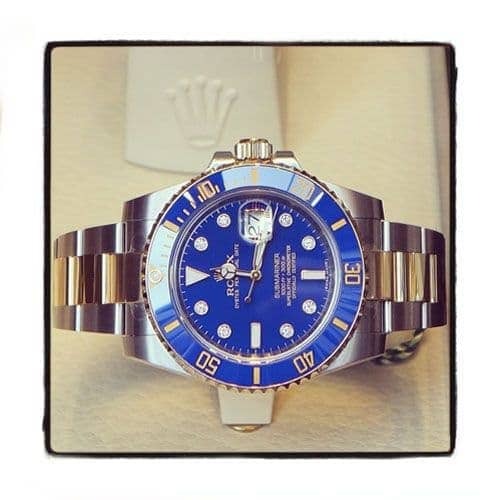 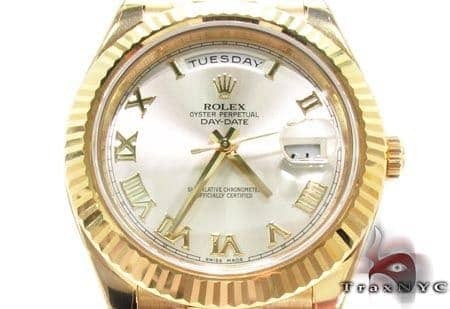 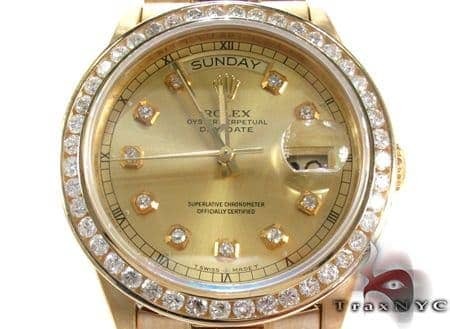 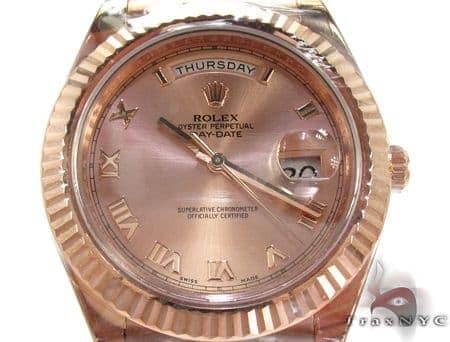 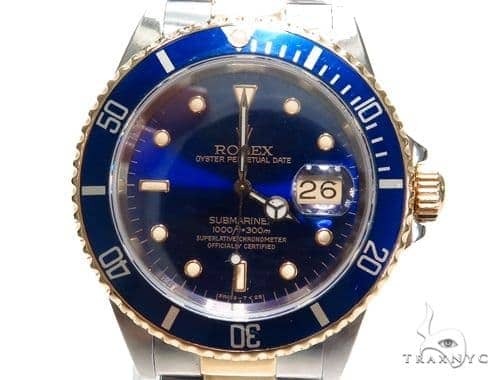 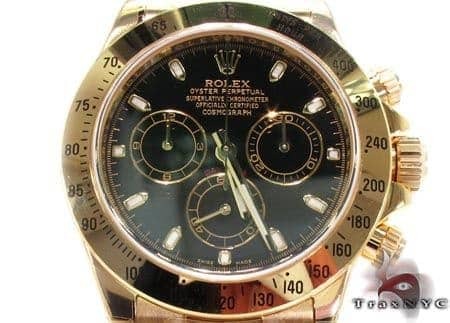 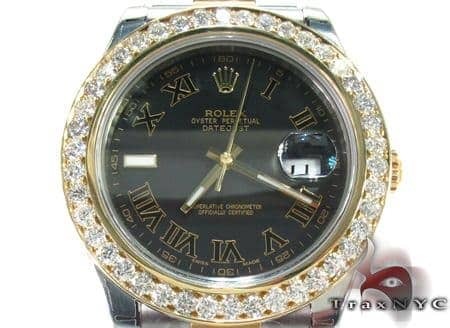 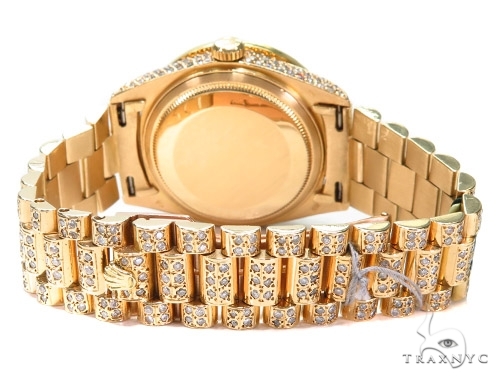 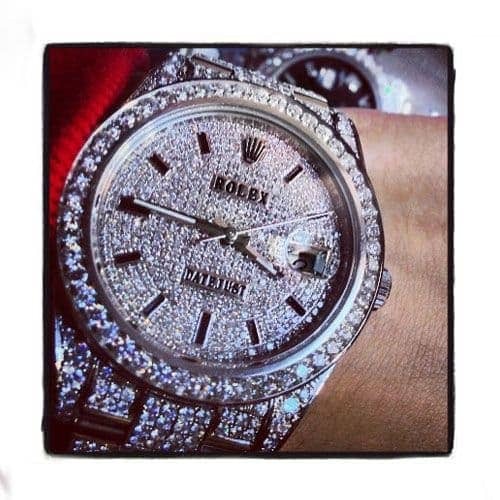 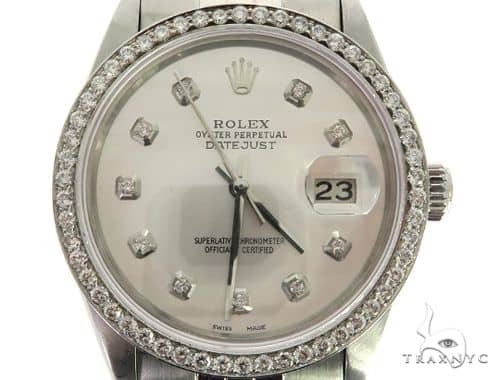 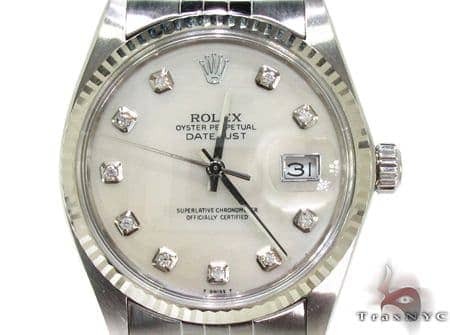 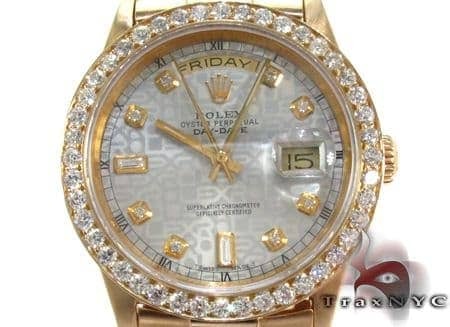 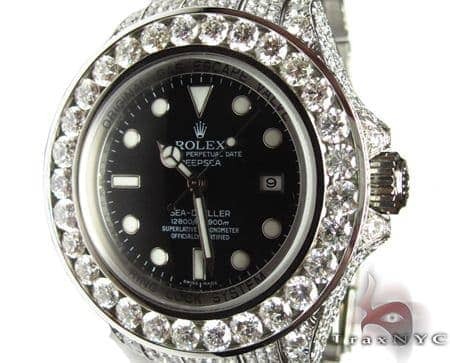 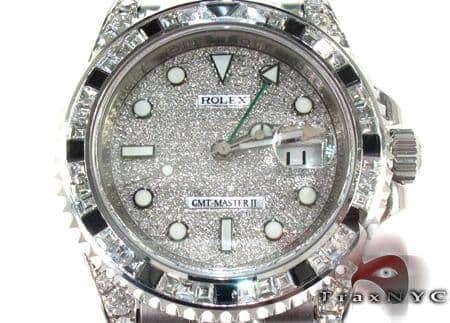 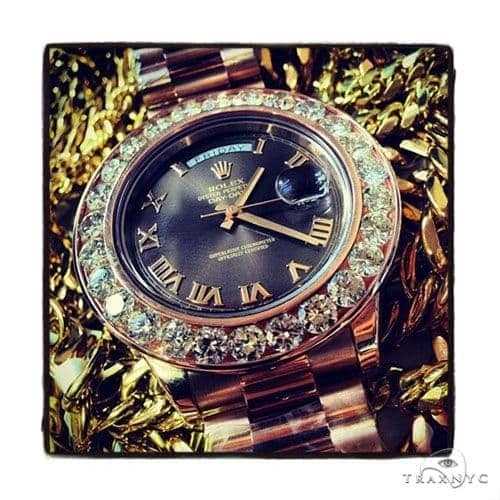 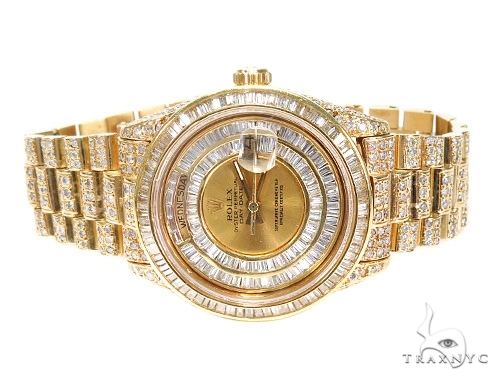 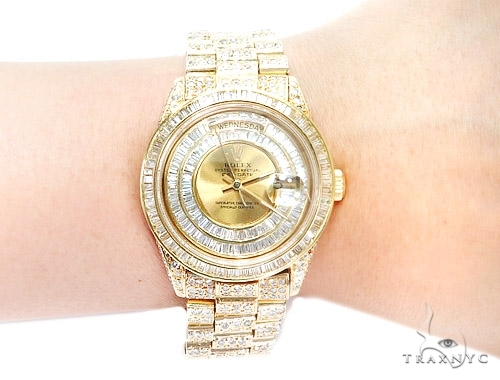 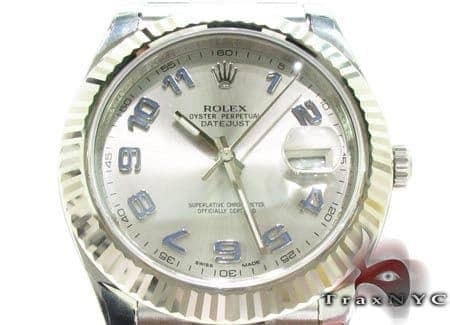 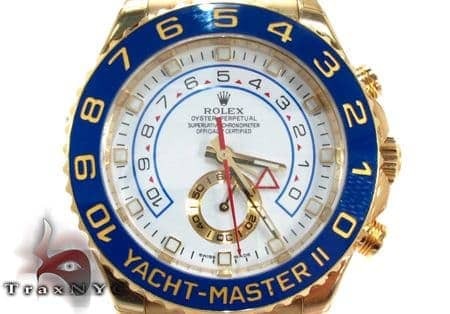 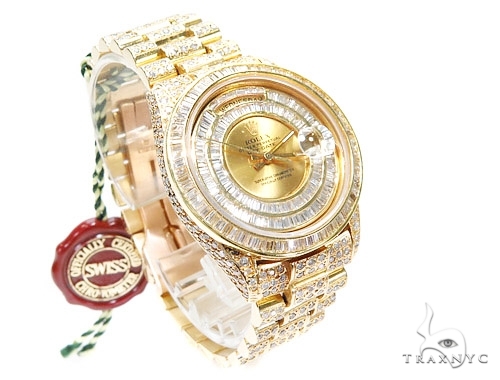 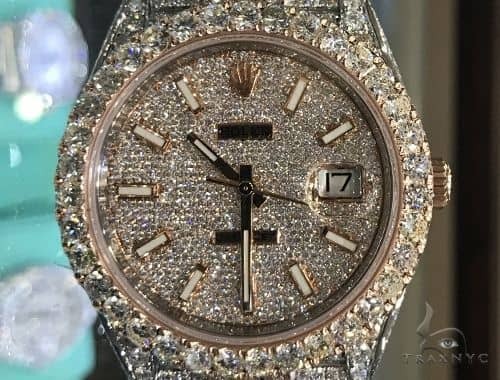 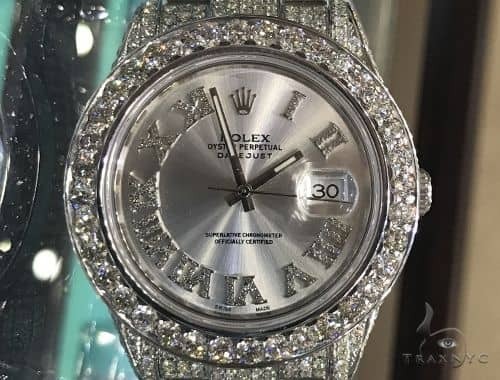 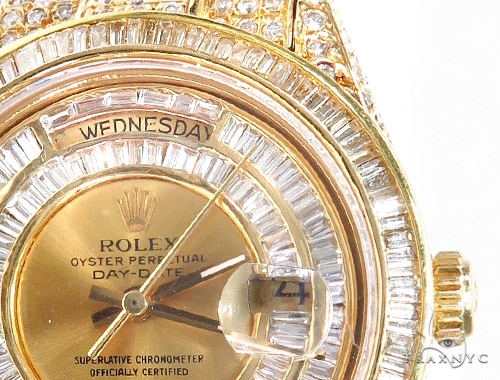 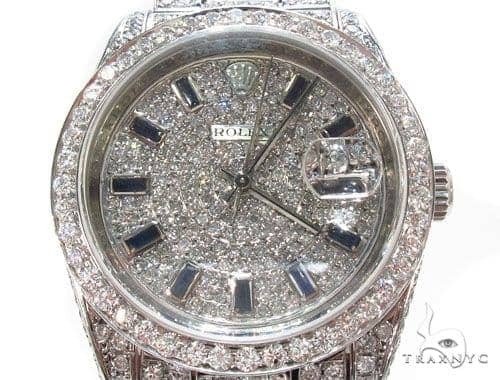 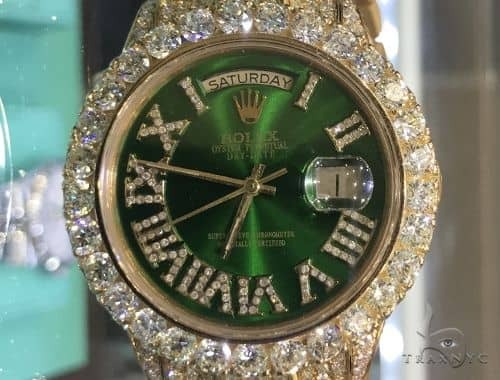 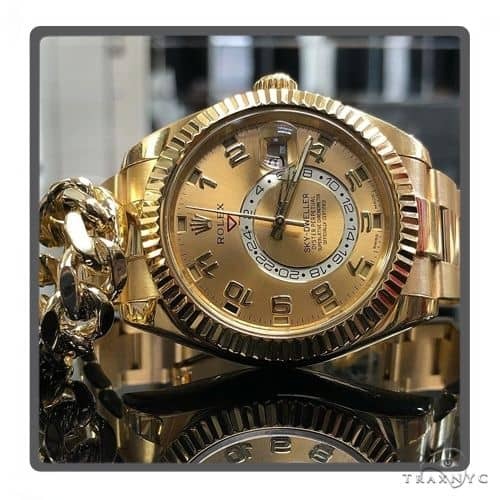 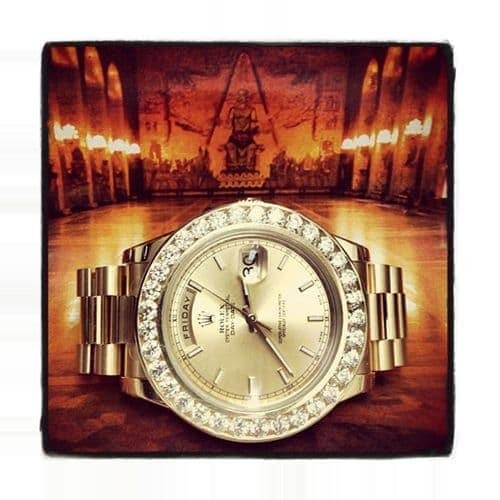 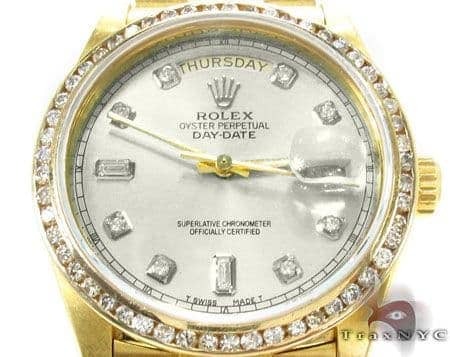 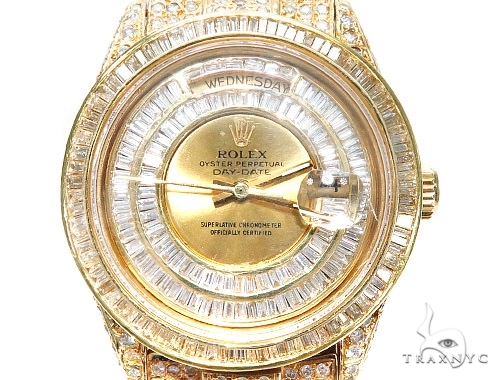 This is a pre-owned Rolex that has been modified with after market diamonds. 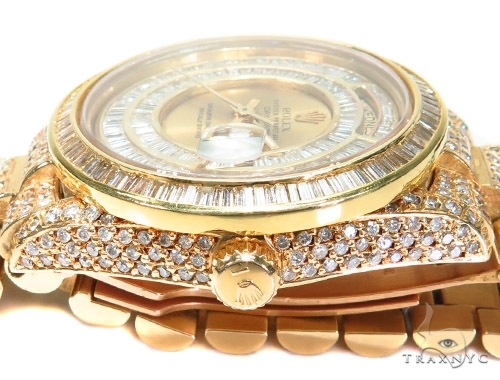 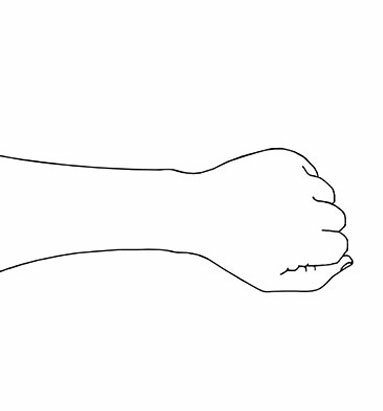 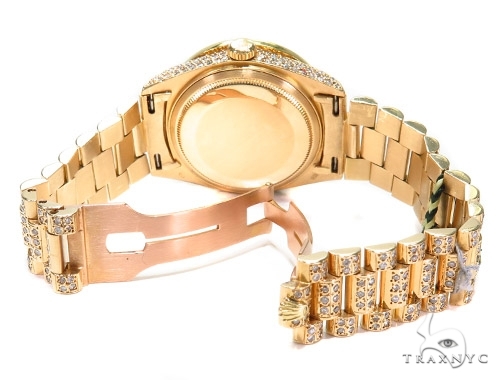 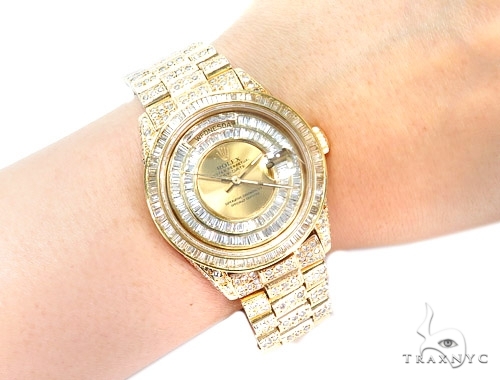 The diamonds on the bezel and the bracelet and the dial are set by our jewelers.